GAME SCHEDULE for 9/21 will be EMAILED by 8pm on THURS., 9/19. * All games are on Saturday's (games only). This past 2019 season was another very successful season. The 2018 league featured 80 teams and over 740 students (from over 50 different towns)! The over-all competitive balance was excellent. The Final game for ALL TEAMS is on 11/2 (week 7). Back ground checks are done for those who coach in this league. Schedule can be balanced with other fall sports (Just Saturday games, no practices). Excellent competition. Teams are competively balanced. Certified ColIege & Varsity High School board officials. Improve basketball skills, gain conditioning, have fun! Opportunity to play on the same team with friends. 40 minute games! Equal playing time system. All man to man defense (no zones). Great experience and helpful preparation for the upcoming basketball season. Seven week season: the final week (11/5) features the final game & a championship game . Good Exposure: college coaches have attended for recruiting purposes. Given we will have students from close to 50 different towns we will host the games at multiple quality facilities. We will work hard & do our best to schedule the games at the site closest to where the student lives. Southington. For those who live "east of the CT. river", the majority of their games will be played in Tolland. game schedule: The first game is on September 21. First week game times will be posted online & emailed on Sept 19. Students from the following towns participated in our previous Fall Leagues: 50+ towns total!! Agawam (Ma. ), Amherst (Ma. ), Ashford, Avon, Bloomfield, Bristol, Burlington, Canton (Collinsville, North Canton), Cheshire, Columbia, Coventry, Cromwell, East Granby, East Hampton, East Longmeadow (Ma. ), Ellington, Enfield, Farmington, Goshen, Granby, Harwinton, North Granby, Madison, Manchester, Meriden, Middlebury, New Hartford, Newington, Northampton(Ma. ), Rocky Hill, Simsbury (Weatogue, West Simsbury), Somers, Southington, Southwick (Ma. ), South Windsor, Stafford, Suffield, Terryville, Tolland, Torrington, Union, Unionville, Vernon, Wethersfield, Willington, Windsor, Windsor Locks, Winsted, Wolcott. We would like to take the opportunity to thank you for an amazing fall basketball experience. 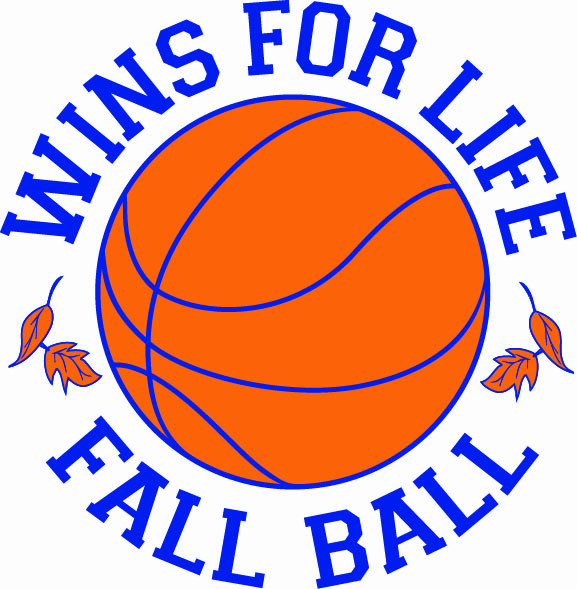 We thoroughly enjoyed our involvement with Wins4Life on a personal and a team level. Your ability to coordinate so many teams at different locations as well as accommodate for scheduling conflicts is truly incredible. Your passion for the game permeates all your work. We look forward to many seasons and clinics in the future. Wins4life is an well run, family oriented organization. You have our respect and gratitude!